A tour through the southwest area of Padua, amid its castles and hamlets, along with a taste of ‘Prosciutto Crudo of Montagnana’, (a famous raw ham produced in a medieval village in the province of Padua), characterized by a particular hint of sweetness; a visit to Arquà Petrarca (the place where the poet Francesco Petrarca lived the final years of his life) followed by an overnight stay in the area of hot springs and mud baths. There will be language support to all foreign participants, in order for them to enjoy nature, food, climate and the well-being that these places offer at their best. Two overnight stays are planned. Culture, wellness, wine, good food and traditions, a visit to the hamlets spread around the province of Padua, a cultural gourmet and wine journey in touch with the Veneto region’s best traditions, with Padua city amongst its treasures. A full afternoon will be available for the tour, with a typical Veneto-style cuisine dinner menu arranged in a local restaurant (first evening); language support will be provided for foreign visitors in order to satisfy both their historical and daily life curiosity of the renowned Padua province. Three overnight stays are planned. For information and prices and how to access packages, please contact the following numbers, + 39 345 5958508 or +39 389 0196276 or write to tls@toplanguageschool.eu/toplanguageschool@yahoo.com. Packages will be dependent upon numbers and languages. In order to guarantee the very best service available, packages are envisaged for groups of people speaking the same language. 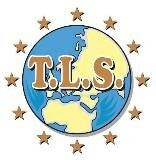 TLS, a state of the art language School, is devoted to multilingual courses, translating and interpreting services, as well as general companies support, such as export development, worldwide logistics and linguistic redeployment and events planning, in partnership with private and public structures. TLS proposes a language approach starting from three years old, through the combining of sport, theatre and leisure activities. TLS recently established school head office is in Montegrotto Terme, in the sparkling and intellectual province of Padua. The school was founded by Elena Morello, a conference interpreter and translator who graduated at SSLMIT in Triest (2004). Following seven years working experience as a freelance teacher and language skills coach, both in international and national companies, Ms Morello has soon gathered experiences, ideas and projects into a greater project, structured with mother tongue or bilingual teachers coming from different cultural and professional backgrounds, making team work and synergy the right tools to penetrate the market despite the particular economic momentum and increasing fierce competition. here are some skills which have contributed to the creation of a young, dynamic and versatile school, carefully oriented to market and client needs on the whole! Nowadays, the school has its head office in Montegrotto Terme and a branch office in Casale di Scodosia both in in the Padua province. The school CEO is fully convinced that culture does not belong to an “elite” or to a “metropolitan background”, but, on the contrary, it belongs to areas where the need and desire of learning is greater than elsewhere, due to their sometimes uncomfortable geographical position or particular historical evolution. For this reason, thanks to partnerships with schools, sport associations and Onlus, and after just few years of activity, the school is proud to have a trademark recognized and protected nationwide.